Did Guizot have a penchant for great European ladies? They, in any event, felt attracted to him, and were not afraid to let him know. The Princess von Lieven had not yet been buried when Guizot received a letter from Berlin which he was not, or no longer, expecting: “It is especially about you that I think (…). There are in the heart hidden and forgotten doors which are found again when one comes knocking on them.” This explicit invitation was signed by the Duchess of Sagan. In March 1857, she was sixty-four years old and she also had half a century of connections and political and social activities of the highest order. Dorothée de Biron was the youngest of four daughters of the last sovereign Duke of Courland, who had sold his rights for a very high price to Catherine II when Russia had absorbed his principality. Having grown up in very close proximity to the Prussian court, she married in 1809 the Count Edmond de Périgord, Talleyrand’s nephew, who requested her hand on his behalf from the Tsar Alexander I, whom the Duchess of Courland knew particularly well. 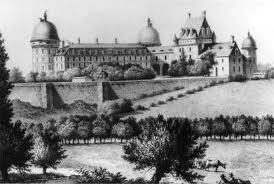 Established in Paris, she became lady-in waiting to the Empress Marie-Louise. Her uncle, who took an increasing interest in the young lady of remarkable beauty and mind, took her to the Vienna congress to act as his hostess in the Palais Kaunitz, which she did to perfection. “She has in her face and in her whole person that irresistible charm without which the most perfect beauty is powerless”, a congress enthused. She was henceforth launched into the highest European society. 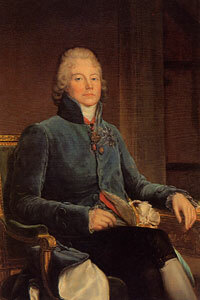 It was in Vienna that she developed an extraordinary relationship with Talleyrand that was both sentimental, intellectual and also of the flesh, since her daughter Pauline, born in 1820 and future grandmother of Boni de Castellane, was undoubtedly their joint work, Count Edmond having almost permanently moved away, without ever divorcing. 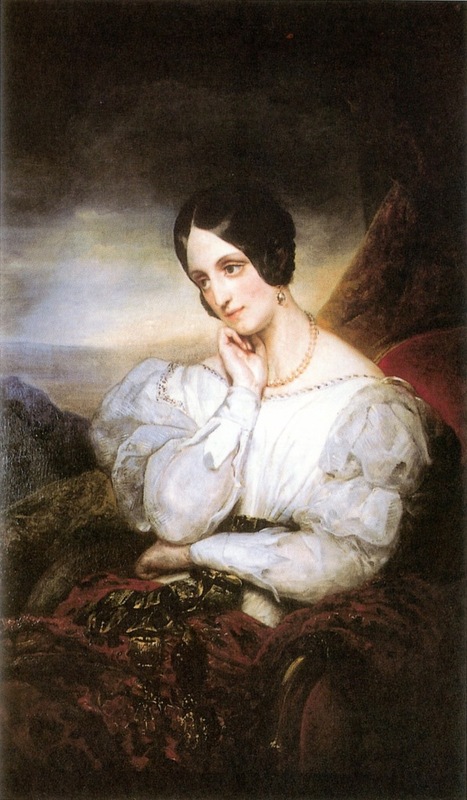 In 1817, the Countess of Périgord received the title of Duchess of Dino, by which she was known from then on, before becoming the Duchess of Talleyrand in 1838, then of Sagan, an immense Silesian domain, in 1844. Apart from reigning dynasties, there was no one in the world more chic than the Duchess of Dino, and hardly any temperament more ardent, reflected by great and fascinating blue/black eyes. Guizot probably saw her for the first time in the summer of 1815, when Talleyrand was President of the Council and he was Secretary General of the Ministry of Justice. They saw each other again during the Restauration, as Talleyrand, whose niece was living in his hotel in the rue Saint-Florentin and taking on all causes, was turning towards the liberal opposition in which Guizot played an increasing role. Dorothée de Dino made advances to him, as she did to many others. 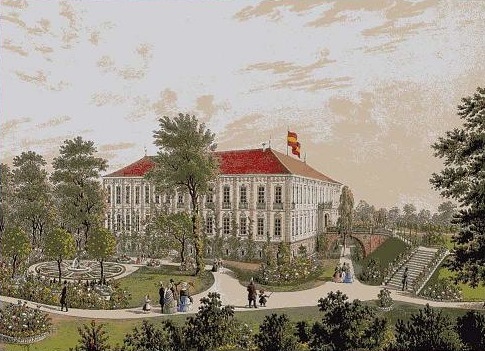 When he became a widower in 1827, she increased the pressure, inviting him to her home, and even wanting him on his own in September 1828 in the château de Valançay when he was about to remarry two months later. His future wife, Eliza Dillon, managed to put a stop to this. They did not, however, lose sight of one other, particularly after Guizot became a widower for the second time in 1833. What happened between them when in 1834, she returned with Talleyrand from London where she had brilliantly fulfilled the unofficial role of ambassadress? In May 1836, Guizot mentioned a “long and eagerly awaited conversation” between them. 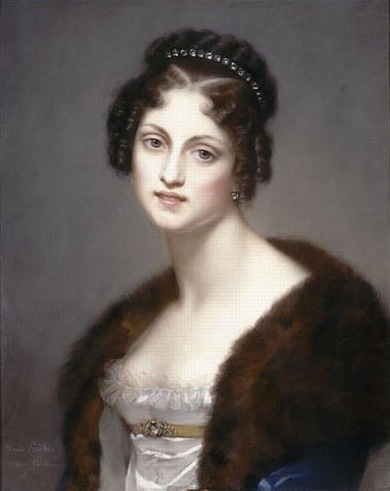 It was at her home that he had one of his first encounters with Dorothée von Lieven, whom the other Dorothée had known well in London and had welcomed as a friend in Paris in 1835. This friendship soon changed into a jealous rivalry of which Guizot was the cause. “M. Guizot is to be found morning and evening at Mme von Lieven’s house, and we find this very amusing”, the Duchess wrote; “Do you know that I have utter disdain for Mme de Talleyrand? She enjoins me to go to her home, which I shall certainly not do” replied the Princess. But the Duchess of Dino, for a long time an active spectator of French politics, and very close to the Orléans family, lived more and more in Prussia, and the chances of meeting one another became less frequent. Their encounters therefore resumed in 1857 and, it was not long before the old friends, renewed their relationship: “Always beautiful, always the look and the charms of Circé. And the mind as whole and as lively as the body.” From 1857 to 1860, when they were both in Paris, Guizot went to see her several times a week, dined with her, often alone, at their mutual friend’s the Countess of Mollien, who was blind; in the meantime, dozens of letters were exchanged, which have all disappeared whereas previous ones have in part been kept. The Duchess requested as a favour that her portrait, dedicated to “my illustrious friend” be hung in Val Richer amongst those of his loved ones, beginning with Mme von Lieven . The feelings between them became apparent, perhaps their bodies were also awakened. An ultimate love in the autumn of life. One of the Duchess’s last letters, in pencil, was to him. “For a long time”, he wrote after her death in Sagan in September 1862, “we met very often but knew one another little; in recent years, we became more intimate, had greater mutual understanding and took far greater pleasure in one another. She was a superior being, a great and tender soul throughout the passions of her life and was charming company. Great creatures are rare.” Her mind, her culture, for the Duchess of Dino was an untiring reader, her faithfulness in friendship with the Duchess of Broglie, Royer-Collard, Thiers, Barante, Molé, Tocqueville, to mention only the French, her need to be loved, are expressed in the four volumes of the Chronique published under her name by her granddaughter Marie Radziwill and mainly made up of extracts of the letters she sent for thirty years to her very dear friend Adolphe de Bacourt.